BMI: Body Mass Index; ECG: Electrocardiogram; HRV: Heart Rate Variability; pNN50: Number of Pairs of adjacent NN intervals differing by more than 50 ms divided by the total number of all NN intervals [%]; SDNN: Standard deviation of all NN intervals; sNN50: Number of Pairs of adjacent NN intervals differing by more than 50ms; rMSSD: Square root of the mean of the Sum of the Squares of differences between adjacent NN intervals. The nutritional intake of omega-3-fatty acids has been shown to have a high impact on mitigating cardiovascular risk , cognition  and emotional disease [8,9]. There is also compelling evidence that omega-3-fatty acids have a significant positive effect on fetal growth and cardiovascular health [10-14]. Specifically, in a randomized controlled trial, Skilton et al. showed that an association between low dietary omega-3-fatty acid intake and higher blood pressure and subclinical atherosclerosis in SGA patients was prevented by omega-3-fatty acid supplementation during the first 5 years of life [10-14]. A current a meta-analysis of randomized controlled trials showed a significant decrease of systolic blood pressure by 4.0 mmHg and diastolic blood pressure by 3.5 mmHg . The NHANES study group strived to improve cardiovascular risk stratification in children with low birth weight by using more established surrogate parameters, such as carotid intima-media thickness and blood pressure in 3,457 children, and found an association between dietary long-chain omega-3 fatty acids and blood pressure [10-14]. The effect of omega-3 fatty acid supplementation on blood pressure and carotid intima-media thickness is too small to be detectable in small groups and in single patients. Thus, the HRV is an ideal measure for cardiovascular risk assessment in the current study. Thus, based upon these studies we hypothesized that supplementation of omega-3-fatty acids should improve HRV in children with short stature as has been shown in several other patients groups . To accomplish this, we measured the 24 hour HRV in 20 children with short stature at baseline and after ~230 days of taking daily supplements of omega-3 fatty acids. The HRV was measured a second time after an average of 232 days of omega-3 fatty acid supplementation by Holter ECG. The height and weight were measured for each patient, and the body mass index (BMI) and BMI percentiles were calculated. Values of NT-Pro-BNP, IgF1 and IgFBP3 were also collected from our routine clinical laboratory. For controls, data from normal healthy children (N=85) were retrieved from a previous project investigating normal HRV in children . Therefore, the data from these patients, who attended our outpatient clinic for exclusion of cardiac arrhythmia, was analysed retrospectively. The retrospective analysis was approved by the ethical board of our states medical chamber (Landesärztekammer Baden Württemberg) and recently published . Autonomic control of cardiovagal function was tested by time domain analysis of 24-hour ambulatory digital electrocardiogram (ECG) recordings. A two-channel Holter monitor (Pathfinder™, Spacelabs, Germany) was used for ECG recording while the children followed their normal daily routines. All Holter recordings were reviewed by an experienced cardiologist (R.B.) and edited to validate the system’s ECG labelling. Measures of HRV were calculated employing only normal to normal intervals. The Holter ECGs were analyzed as average values from the entire 24 hours of analyzable data and additionally for circadian rhythm analysis as mean hourly values with regard to the time of day. Measurement and interpretation of HRV parameters in the current sample were standardized according to the currently established guidelines . A minimum of 23 hours of analyzable data, and at least 95% of analyzable heart beats, were required for the data to be included for analysis. For time domain measures, mean RR interval, resulting heart rate and HRV parameters (square root of the mean of the sum of squares of differences between adjacent NN-intervals (rMSSD) and the standard deviation of NN intervals (SDNN)) were calculated as average hourly values and as 24-hour average values. In the current study, we used the term vagal tone for the part of the autonomic nervous system measured by rMSSD. Numbers of pairs of adjacent NN intervals differing by more than 50 ms were given as absolute number of NN intervals per hour (sNN50) or as the percentage of the total number of all NN intervals during 24 hours (pNN50). The rMSSD, pNN50, and heart rate all predominantly reflect a response to changes in vagal tone while the SDNN reflects global heart rate variability. The SDNN is also dually influenced by cholinergic and adrenergic activity, as well as other physiological inputs. For frequency domain measures, beat-to-beat fluctuations were transformed to the frequency domain using Fast Fourier Transformation. Spectral power was determined over three frequency regions of interest: Very low frequency (VLF, < 0.04 Hz), low frequency (LF, 0.04-0.15 Hz) and high frequency (HF, 0.15- 0.4 Hz) with derived HF/LF ratio. LF reflects mostly sympathetic activity and HF predominantly vagal tone. 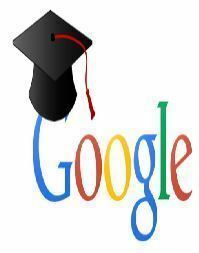 All results were reported as mean ± standard deviation (SD). Parametric statistics were used for all comparisons as most variables were normally distributed. Patients were compared with controls using an independent samples t-test for equality of means and patients were compared before and after omega-3 fatty acid supplementation using a paired samples t-test for equality of means. Patient characteristics and 24 hour mean values from the Holter ECG monitor, age, height, and body mass index (BMI) are summarized in Table 1. All patients had short stature, height below third percentile, but 11 children received recombinant growth hormone therapy and showed significant “catch–up” growth before omega-3 fatty acid supplementation. There was no significant change in mean height percentile or BMI after omega-3 fatty acid supplementation. The mean birth weight of the patients in our study was reduced due to the inclusion of 6 children with SGA and 6 children with congenital syndromes. We also observed that NT-Pro-BNP was increased in some children with and without heart defects and Insulin like growth factor 1 was reduced in some children waiting on growth hormone replacement. Baseline HRV in our study group is significantly reduced and mean heart rates are significantly enhanced, relative to healthy controls. After supplementation of omega- 3-fatty acids, the mean HRV significantly increased as indicated by a significant change in nearly all time and frequency domain parameters (Table 2). Mean heart rate decreased from 100.4 ± 12.4 bpm to 96.2 ± 12.3 bpm (p=0 .0009). Mean heart rate reduction by 4-5 bpm was comparable at both day and night, but due a lower standard deviation, only the nighttime values reached statistical significance. Global HRV remained significantly reduced despite the HRV improvement (SDNN: 106.3 ± 29.7 ms to 114.1 ± 34.8 ms; not significant). However, global HRV expressed as total power – the equivalent value for SDNN using the Fast Fourier Analysis-showed a significant improvement with omega-3 fatty acids (2510 ± 1404 ms2 to 4254 ± 3391 ms2; p=0.071). The ratio of high to low frequency power-a parameter of autonomic balance – changed significantly in favor of vagus activation. Table 1 Anthropometric and laboratory data. BMI: Body Mass Index; IgF1: Insulin like Growth Factor 1; IgFPB3: Insulin like Growth Factor 1 Binding Protein; NT-Pro-BNP: Brain Natriuretic Peptide. Table 2 24 hour heart rate analysis data. HR: Heart Rate; NN intervals: Time between the normal heart beats in sinus rhythm; SDNN: Standard Deviation of all NN intervals; RMSSD: The square Root of the Mean of the Sum of the Squares of differences between adjacent NN intervals; pNN50: Number of pairs of adjacent NN intervals differing by more than 50ms divided by the total number of all NN intervals; TP: Total Power; VLF: Very Low Frequency power; LF: Low Frequency power; HF: High Frequency power; HF/LF: Ratio HF to LF. The circadian analysis of mean hourly heart rates and pNN50, before and after supplementation of omega-3-fatty acids in children with short stature, illustrated the most important autonomic effects (Figure 1). The normal HRV range of age matched healthy control children was high compared the study patient group. However, the study group showed high mean heart rate and low mean pNN50 values which indicates significant autonomic imbalance with sympathetic dominance at day and night. Supplementation of omega-3-fatty acids reduced elevated heart rate and improved low vagus activities indicated by higher pNN50 values. This beneficial effect seemed to be more pronounced between 9:00 and 18:00. Figure 1: Experimental microwave-vacuum drying apparatus. Our study demonstrated the feasibility to measure an important cardiovascular surrogate parameter, HRV, in children with short stature which have a well-known enhanced cardiovascular risk. By using 24 hour HRV analysis obtained from Holter ECG data, we clearly demonstrated that HRV was significantly reduced before omega-3 fatty acid supplementation. Autonomic imbalance measured by HRV is more pronounced in this study group compared to our previous study  due to patient selection. We proposed omega-3 fatty acid supplementation only in children with significantly reduced HRV after cardiovascular risk stratification. The cause of heart rate reduction seems to be an enhanced vagus activity as indicated by significantly higher rMSSD, pNN50 and high frequency power values after supplementation of omega- 3-fatty acids. Reduced HRV may indicate intense sympathetic nerve activity, as shown in adults with hypopituitarism by muscle sympathetic nerve activity analysis (MSNA). However, reduced HRV - primarily measured by low rMSSD, pNN50 and high frequency power - may also indicate a loss of the "vagal brake" with important implications for cardiovascular risk  , arrhythmias , neurocognition  and social engagement . Vagus maturation from infancy to adolescence is the hallmark of children's autonomic nervous system and the most important therapeutic target with measureable endpoints in childhood . The question how omega-3-fatty acids improve HRV remains a matter of discussion as recently reviewed by MT Rovere and JH Christensen . At the end of this review the authors discuss “that the HRV responses to n-3 PUFA treatment are more consistent with reductions in the intrinsic pacemaker rate (of the heart) than with alterations in autonomic neural regulation.” We recently publish our own concept about the impact of nutrition on the autonomous nervous system and provide many data that caloric intake and omega-3-fatty acids regulate the intrinsic heart rate . If one regards metabolic rate as the universal ‘pacemaker’ for biological processes than metabolism may drive the operating speed of closely related physiological functions (e.g. breathing and heart rate). Omega-3-fatty acids seem to be an important regulator between this interplay between metabolic and heart rate. Cardiovascular risk stratification by HRV analysis is well established in adults, but unusual in pediatrics. Massin et al., (2001) were the first to show an association between HRV and fetal and postnatal growth . Further studies focused on children born small for gestational age and found significantly reduced HRV [26-28]. In later life, adults with low birth weight and catch-up growth showed normal HRV . According to the low cardiovascular mortality in “healthy children”, nearly all children don’t reach cardiovascular endpoints like myocardial infarction, sudden cardiac death or stroke despite significant autonomic dysfunction. A large European study in 24,232 patients, most commonly treated for isolated growth failure (53%), Turner syndrome (13%) and growth hormone deficiency linked to neoplasia (12%), demonstrated the safety and appropriateness of growth hormone treatments in Europe. This high volume project confirm again: The effect of any pharmacological therapy in children on longtime cardiovascular mortality seems to be unpredictable in epidemiological studies! Our own publication about the extra effects of growth hormone treatment on heart rate variability is under review. The current study confirms the findings from studies on omega- 3-fatty acid supplementation that seem to "breaking the link between impaired fetal growth and adult cardiovascular disease" [10,14]. The 24 hour HRV analysis seems to improve cardiovascular risk stratification in childhood and reveals significant effects in small patient groups and in single patients. Other groups have investigated metabolism in children with intrauterine growth retardation for risk stratification with contradicting results. In the current study, no patients suffered from diabetes or obesity. An important consideration is that Barker et al., (1989) found an association only between low birth weight and ischemic heart disease and not with diabetes and obesity . It is an obstacle of the current scientific debate of Barker's fetal origin hypothesis to measure metabolic parameters with indirect or questionable impact on cardiovascular prognosis. In conclusion, our study demonstrated the improvement of HRV after omega-3 fatty acid supplementation in children with intrauterine growth retardation and with short stature due to growth hormone deficiency, congenital syndromes and heart defects. 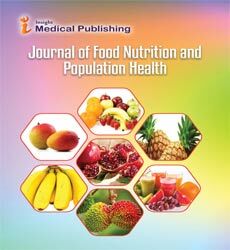 Thus, we propose omega-3 fatty acid supplementation in children with short stature who have significantly reduced 24 hours heart rate variability in order to improve heart rate variability and probably cardiovascular risk Future prospective studies will be necessary to find the optimal dose, composition and duration of omega-3 fatty acid supplementation. While the results from this study provide strong evidence to support omega-3 fatty acid supplementation in children with short stature, it is not without limitations. The sample size is relatively small and is not necessarily representative of all underlying causes of short stature in children. Thus, the positive effects of omega-3 fatty acid supplementation may not be replicated in children with unrepresented origins of short stature. A sub-set of our patients were also undergoing growth hormone therapy which may have influenced the outcomes of the study. However, we did not find any evidence to support this. The exact dose of omega-3 fatty acids given to patients in our study was also variable due to logistical reasons. This may have had an impact on our findings, but we believe that as long as a minimal required dose is supplemented the overall positive results should not be affected. Paajanen TA, Oksala NK, Kuukasjarvi P, Karhunen PJ (2010) Short stature is associated with coronary heart disease: a systematic review of the literature and a meta-analysis. Eur Heart J31:1802-1809. Vrijkotte TG, van den Born BJ, Hoekstra CM, Gademan MG, van Eijsden M, et al. (2015) Cardiac Autonomic Nervous System Activation and Metabolic Profile in Young Children: The ABCD Study. PLoS ONE10:e0138302. Farah BQ, Barros MV, Balagopal B, Ritti-Dias RM (2014)Heart rate variability and cardiovascular risk factors in adolescent boys. J Pediatr165:945-950. Buchhorn R, Meint S, Willaschek C (2016) The Impact of Early Life Stress on Growth and Cardiovascular Risk: A Possible Example for Autonomic Imprinting? PLoS ONE11:e0166447. Simopoulos AP (2008) The importance of the omega-6/omega-3 fatty acid ratio in cardiovascular disease and other chronic diseases. Exp Biol Med(Maywood.) 233:674-88.
Cooper RE, Tye C, Kuntsi J, Vassos E, Asherson P (2015)Omega-3 polyunsaturated fatty acid supplementation and cognition: A systematic review and meta-analysis. J Psychopharmacol 29:753-763.
Cooper RE, Tye C, Kuntsi J, Vassos E, Asherson P (2016)The effect of omega-3 polyunsaturated fatty acid supplementation on emotional dysregulation, oppositional behaviour and conduct problems in ADHD: A systematic review and meta-analysis. J AffectDisord190:474-482. Messamore E, McNamara RK (2016) Detection and treatment of omega-3 fatty acid deficiency in psychiatric practice: Rationale and implementation. Lipids Health Dis 15:25. Skilton MR, Ayer JG, Harmer JA, Webb K, Leeder SR, et al. (2012)Impaired fetal growth and arterial wall thickening: a randomized trial of omega-3 supplementation. Pediatrics 129:e698-e703. Skilton MR, Raitakari OT, Celermajer DS (2013)High intake of dietary long-chain omega-3 fatty acids is associated with lower blood pressure in children born with low birth weight: NHANES 2003-2008. Hypertension 61:972-976. Skilton MR, Mikkila V, Wurtz P, Ala-Korpela M, Sim KA, et al. (2013) Fetal growth, omega-3 (n-3) fatty acids, and progression of subclinical atherosclerosis: preventing fetal origins of disease? The Cardiovascular Risk in Young Finns Study. Am J Clin Nutr97:58-65. Skilton MR, Pahkala K, Viikari JS, Ronnemaa T, Simell O, et al. (2015) The association of dietary alpha-linolenic acid with blood pressure and subclinical atherosclerosis in people born small for gestational age: the Special Turku Coronary Risk Factor Intervention Project study. J Pediatr166:1252-1257. Skilton MR, Phang M (2016) From the alpha to the omega-3: Breaking the link between impaired fetal growth and adult cardiovascular disease. Nutrition 32: 725-731. Miller PE, Van Elswyk M, Alexander DD (2014) Long-chain omega-3 fatty acids eicosapentaenoic acid and docosahexaenoic acid and blood pressure: a meta-analysis of randomized controlled trials. Am J Hypertens 27:885-896. 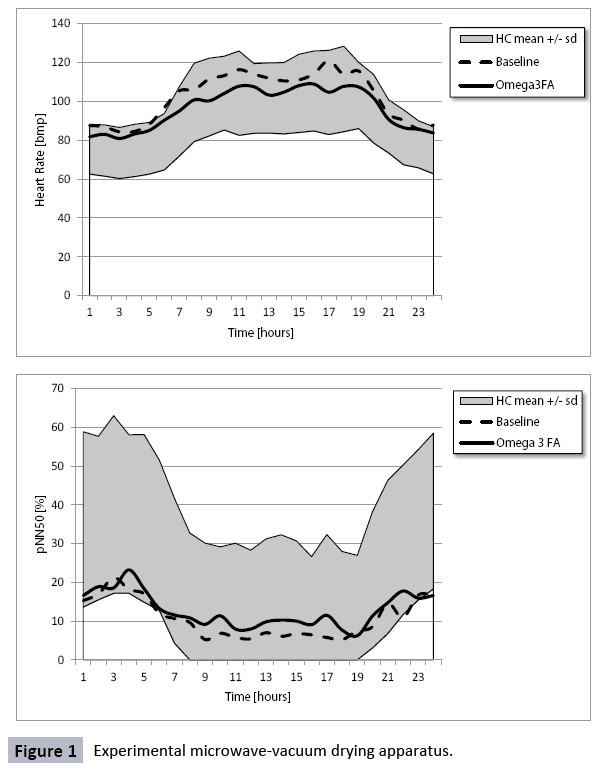 Christensen JH (2011)Omega-3 polyunsaturated Fatty acids and heart rate variability. Front Physiol 2:84. De Bock F, Jarczok MN, Hoffmann K, Buchhorn R (2013)Do our children lose vagus activity? Potential time trends of children's autonomic nervous system activity. Int J Cardiol170:e30-e32. Heart rate variability: standards of measurement, physiological interpretation and clinical use (1996)Task Force of the European Society of Cardiology and the North American Society of Pacing and Electrophysiology. Circulation 93:1043-1065. Thayer JF, Yamamoto SS, Brosschot JF (2010)The relationship of autonomic imbalance, heart rate variability and cardiovascular disease risk factors. Int J Cardiol 141:122-131. Vaseghi M, Shivkumar K (2008)The role of the autonomic nervous system in sudden cardiac death Prog Cardiovasc Dis50:404-419. Buchhorn R, Conzelmann A, Willaschek C, Stork D, Taurines R, et al. (2012) Heart rate variability and methylphenidate in children with ADHD. Atten Defic Hyperact Disord4:85-91. Porges SW (2003)The Polyvagal Theory: phylogenetic contributions to social behavior. Physiol Behav 79:503-513. La Rovere MT, Christensen JH (2015) The autonomic nervous system and cardiovascular disease: role of n-3 PUFAs. Vascul Pharmacol 71:1-10. Buchhorn R, Hauk F, Meint S, Willaschek C (2016) The Impact of Nutrition on the Autonomic Nervous System.Int J Food Nutr Sci3: 1-16. Massin MM, Withofs N, Maeyns K, Ravet F (2001) The influence of fetal and postnatal growth on heart rate variability in young infants. Cardiology 95:80-83. Rakow A, Katz-Salamon M, Ericson M, Edner A, Vanpee M (2013) Decreased heart rate variability in children born with low birth weight. Pediatr Res 74:339-343. Zamecznik A, Stanczyk J, Wosiak A, Niewiadomska-Jarosik K (2016)Time domain parameters of heart rate variability in children born as small-for-gestational age. Cardiol Young 2016:1-8. Aziz W, Schlindwein FS, Wailoo M, Biala T, Rocha FC (2012) Heart rate variability analysis of normal and growth restricted children. Clin Auton Res22:91-97. Weitz G, Bonnemeier H, Sufke S, Wellhoner P, Lehnert H, et al. (2013)Heart rate variability and metabolic rate in healthy young adults with low birth weight. Am J Cardiovasc Dis3:239-246.